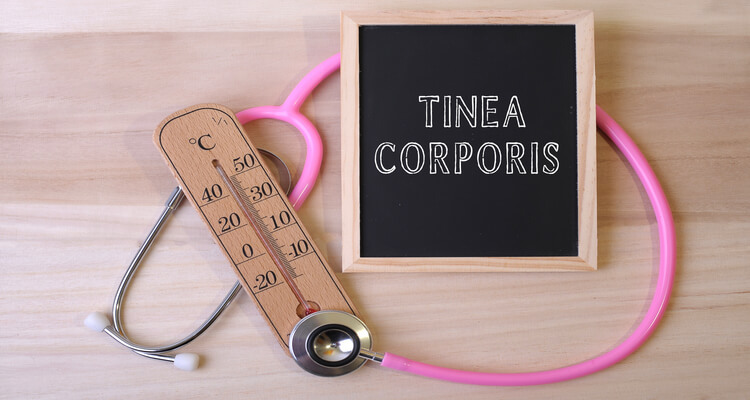 Tinea Corporis is a superficial fungal infection which can affect any part of the body. More popularly known as ringworm, tinea carcinata, and tinea glabrosa, it is characterized by inflammatory or non-inflammatory lesions on the glabrous skin. The root cause of this condition is a tiny fungus called dermatophyte which can naturally live on the superficial skin surface and result in a rash. The infection varies in appearance and is known as tinea capitis if it is present on the scalp, tinea barbae on the beard area, and tinea cruris on the groin (commonly referred as jock itch). Dermophytes infect humans, animals and can be present in the soil. They are caused by three asexual genera, namely Trichophyton, Microsporum, and Epidermophyton. Application of best in the market anti-fungal creams like Ring Out is highly effective in curing Tinea Corporis or ringworm. Such creams can be bought over the counter and are a strong remedy for itchy skin and rash. Treat the infected area with a topical anti-fungal cream twice a day for a minimum of three weeks to completely kill the fungus. Regular usage of these creams will also prevent the infection from recurring. In severe cases where the anti-fungal creams are not as effective, consult a doctor who can prescribe you with a course of oral medication on seeing your condition. Generally, these medications are taken once a day for one week to fully cure the infection. Warm and moist conditions are the breeding ground for the fungi which causes Tinea Corporis. Practicing good hygiene, avoiding contact with infectious materials, washing hands after touching animals or soil, and keeping yourself clean and dry are some of the best ways to avoid this infection. Remember a healthy skin is the best gift you can give yourself. It will not only keep you free from infections, but also boost your confidence and make you glow. Keep Smiling!